A Mug is a great gift for any occasion be it a Birthday, Anniversary or any reason to bring in a smile on the face of your loved one. 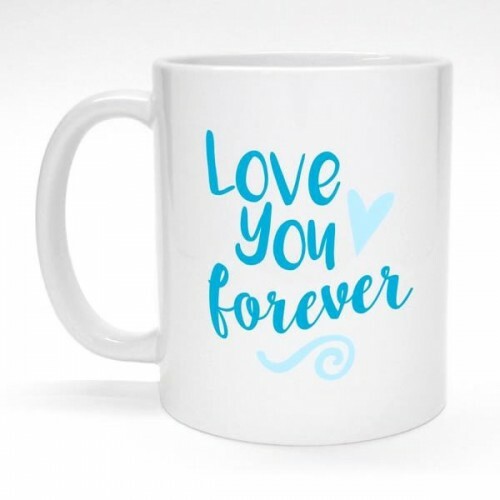 This cool mug with an 'I love you' quoted on it will make for an ideal way to express how much you love and care for them. The trendy mug will make for a perfect gift for your loved ones on all occasions. Premium quality I love you mug. Remind them that you are thinking about them every time they get to the bottom of their tea or coffee. Lovely for many special occasions. Perfect for anniversaries, Mother’s Day, Valentine’s Day, or just as a gift to say ‘I love you’. This mug is romantic or heartfelt for a wife, husband, mum or friend.